Home Latest 3-4-5 PARYAVARAN ANE GANIT- PRATHMIK SHIXAKO NI TALIM NU TIME TABLE. 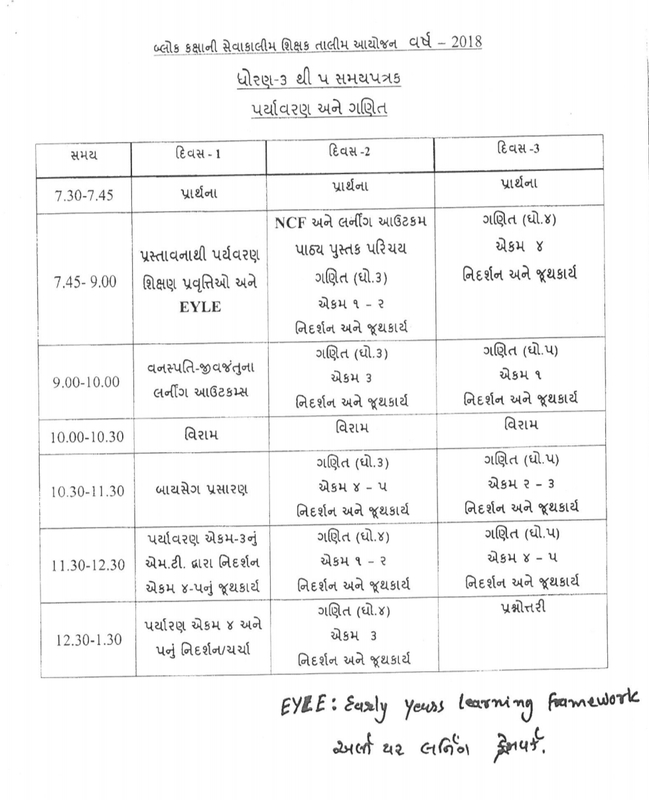 3-4-5 PARYAVARAN ANE GANIT- PRATHMIK SHIXAKO NI TALIM NU TIME TABLE. Previous articlePRATHMIK SHIXAKO NI TALIM BABAT PARIPATRA DATE-13-4-2018. Next article6-8 MATHS- PRATHMIK SHIXAKO NI TALIM NU TIME TABLE. GSHEB SSC – HSC Toppers Students Answer Key 2018. STD 6 TO 8 Maths Science Important Topics For Writing Logbook.